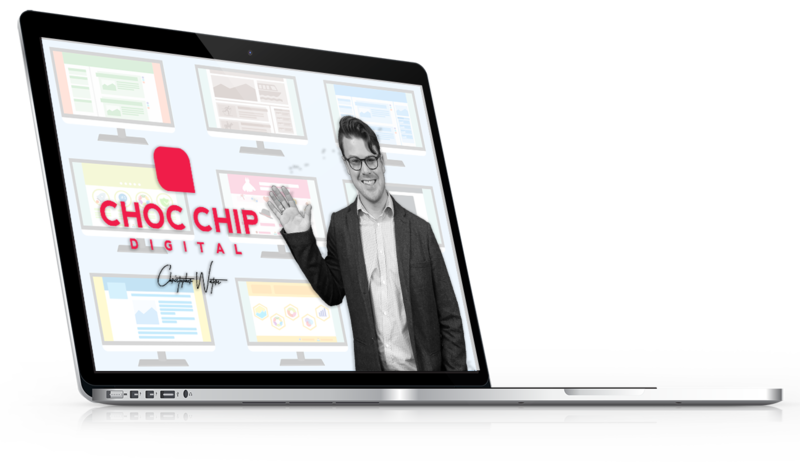 At Choc Chip Digital, we can take your Adwords campaign from the ground up, and optimise it to perform at the highest levels — delivering the lowest cost per clicks with the highest conversion rates possible. The different between most winning campaigns and losing campaigns isn’t the amount of money being spent for each click, it comes down to how well the offer converts the visitors clicking the advertisements. We can find the perfect market match to ensure your offers are getting in front of the right audience to help make sure that more of the visitors that land on your pages convert into paying customers — giving you a substantial return on your investment. When your offers are converting more of the visitors that hit your landing pages, the real work begins. Optimising your campaigns after they’re converting is how you turn a 100% ROI into a 1,000% ROI and higher. There are countless ways to lower your average cost per click, and we have the experience to dramatically lower your advertising costs while ensuring your conversions remain high, through gradually reducing your costs per click. When your conversion rates skyrocket and your costs per click drop, the last aspect of a successful Adwords campaign comes down to recapturing the visitors that didn’t jump on your offer the first time they saw it. Adwords utilises ‘remarketing’ to stay in front of the people that bounced off of your landing page, so you can stay in front of them until they’re ready to make a purchase. These campaigns often cost less than the first click, making for a huge ROI when you finally convert them into a sale. The search and display network is one of the highest traffic sources that Google offers, but it’s also one of the most expensive. A good campaign will begin on the search and display network, and then begin taking the lessons learned to expand the campaign to Google’s other platforms. If you sell physical products, it’s never been easier to drive traffic to your landing pages than with the product listings section of Google’s search results. With lower margins, though, you need careful planning and implementation to ensure you’re seeing a return on the money you spend. For local small to medium businesses, utilising the local display ad network is critical to being your prospect’s first choice when they have a problem that your products and services can solve. Combined with a search engine optimisation campaign, advertising on the local results guarantees that you show up in more places than your competition. Mobile use is on the rise. On average, 60% of searches performed on Google happen on a mobile device. If you’re not advertising specifically to them, you’re missing a huge portion of your market. When you work together with us to grow your business using the Adwords platform, you’re partnering with one of the best in the industry. We’re able to manage your entire campaign, either building it from the ground up or taking your existing results and tweaking them to perform even better.